Hi! How i can automatically start some packages, when open atom? If you remove all activation events from package.json then it will start when Atom does. Be careful however, if all packages were like this, Atom’s startup time would become atrocious. Be certain that you only load exactly what you need upon package activation. Definitely keep an eye on things with the Timecop package. I hope I’m at least looking in the right place? That’s the correct file to remove the directive from, yes. How do you know it isn’t starting immediately? Did you try the things from this topic? 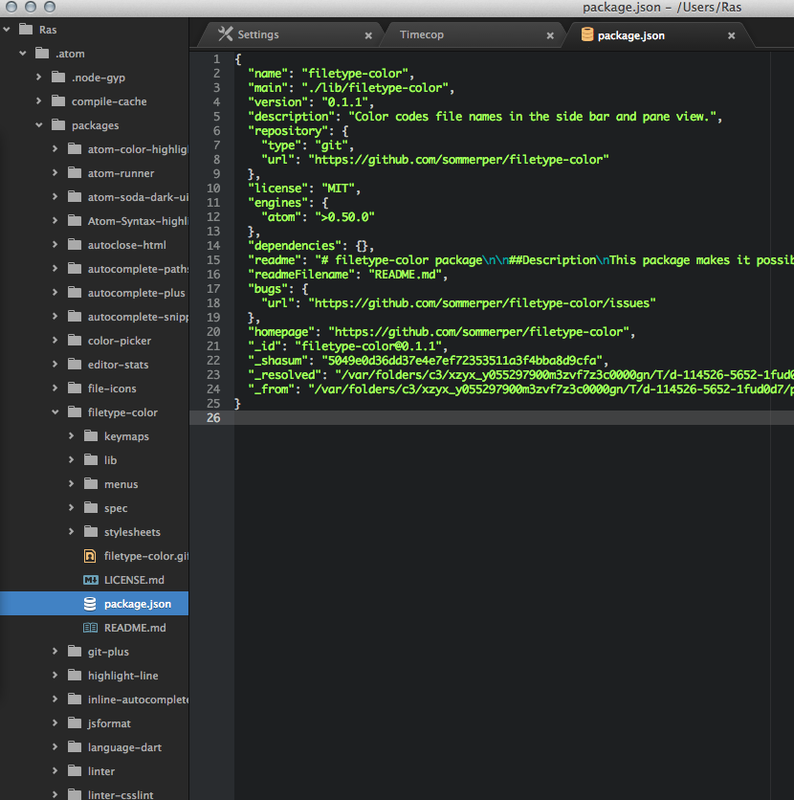 atom.packages.loadedPackages show filetype-color package loaded, yes. But as before i must enable filetype-color from menu. It is not activated immediately. 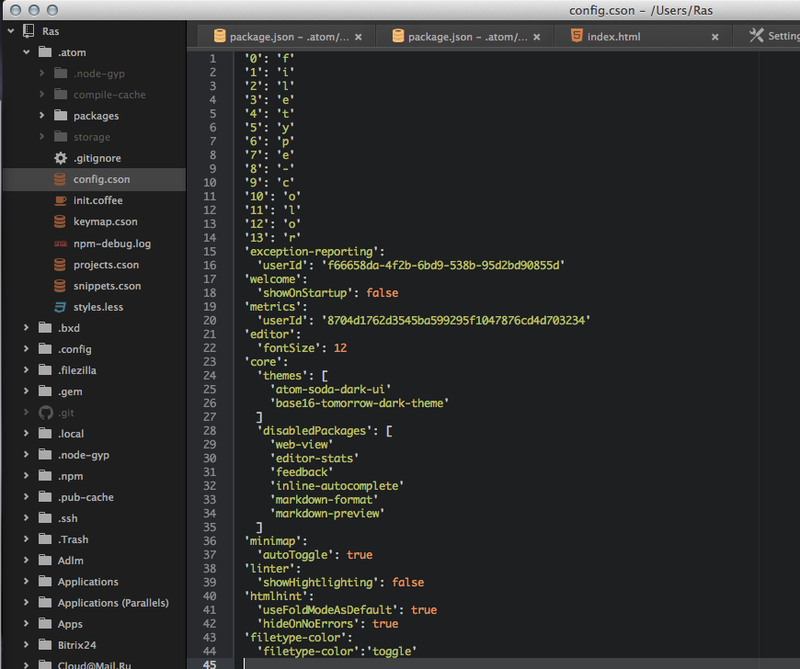 Launch Atom in Developer Mode by typing atom --dev. You shouldn’t have to touch anything in ~/.atom (other than the creation of the symlink, which apm does for you) in order to get things to work.